The Portsalon golf club’s open week continues on Friday 6th July it’s the Donegal Sports sponsored ladies and gents stableford competition. Saturday 7th July the Whoriskey Heating Oils sponsored gent’s fourball stableford competition. The open week concludes on Sunday 8th July with the B Coyle and Sons ladies and gents stableford competition. Presentation of prizes will take place in the clubhouse on Sunday evening at 8.30 p.m. All prize winners from Thursday to Sunday are asked to be in attendance. 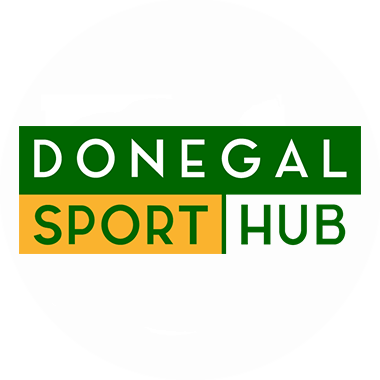 The Captain D P Logue and members of Portsalon Golf Club would like to express thanks to the main sponsors for their continued and generous sponsorship of the clubs open week activities. Noreen Mc Conigley’s Lady Captains prize will be staged on Saturday 21st July. The Lady Captain has a gents members section and gents tee times on Saturday 21st July will be from 7 am to 10 am and from 3.30 pm to 5 pm. To book contact 0749159459 or go online to www.portsalongolfclub.com. The Captain D P Logue and members of Portsalon golf club wish Marie success on this her special day at Portsalon golf cloub. The members of Portsalon golf club were shocked and saddened to hear that their former member and colleague Danny Clinton had passed away at his residence recently. Danny for many years graced his beloved Portsalon ‘’Banks’’, where he displayed his natural golfing ability. It was indeed our pleasure to have known him and to have such a local talent play on the ‘’Banks’’. Danny during his golfing career represented Portsalon Golf club throughout Donegal and Ulster in the various competitions. Over the past number of years we were deprived of his golfing talents as he had sustained an injury which prevented him from participating in the game he so loved. However, Danny always kept in close contact with his golfing friends at Portsalon and was always willing to share his opinion and to pass on his extensive knowledge of the golfing game to those in need of advice. The Portsalon Captain D P Logue, President Wm Mc Cleary and the members of Portsalon Golf Club would like to extend their deepest sympathy to Mary, Seamus, Dana and Pamela his brother and sisters on this sad occasion of Danny’s death. May Danny be reaping his eternal rewards on the fairways of heaven. May he rest in peace.